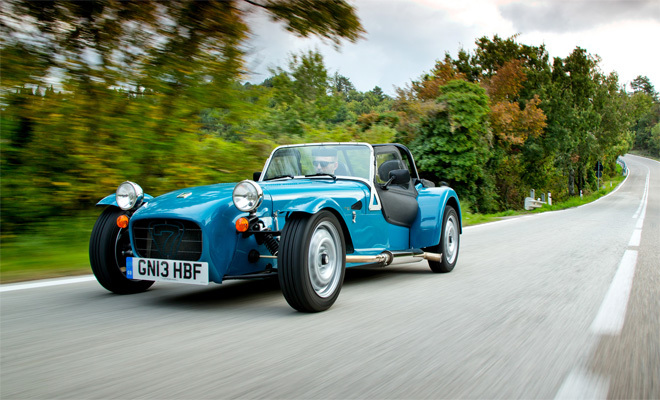 It’s not often that an out-and-out sports car features on GreenMotor.co.uk, but the latest offering from Caterham Cars merits a mention. Despite 1950s aerodynamics of the barn door variety – it’s rumoured to possess the least slippery drag coefficient of any model currently in production – a new edition of the iconic Caterham Seven has achieved a creditable 114g/km CO2 emissions score, and 57.6mpg economy on the combined cycle test. 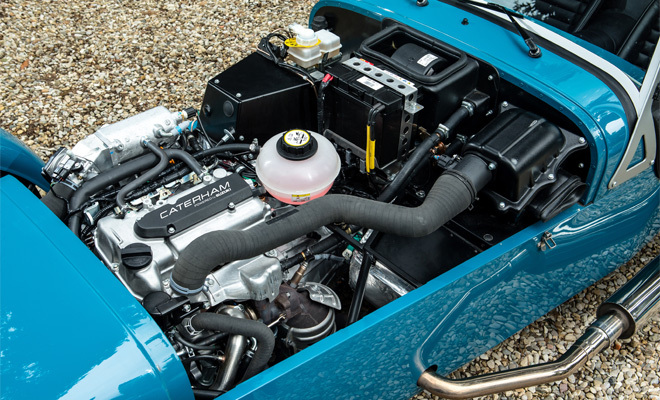 The Caterham Seven 160 has hit these benchmarks partly due to its intrinsic small size and light weight, but also due to its choice of engine. The new edition is propelled by a tiny three-cylinder 660cc turbo engine supplied by Suzuki, tweaked by Caterham to produce 80bhp rather than the modest 64bhp it offers out of the box. As with other varieties of Seven, customers can choose to buy the 160 in turn-key condition or they can order a big box of bits and spend 60 to 70 hours gluing, screwing and hammering it all together. Whether those will prove to be many hours of fun or frustration is debateable. Two decades ago I helped a pal with his kit car project and that really wasn’t the joyous experience I’d envisaged. Visits to life-and-limb-threatening scrap heaps were a big part of the problem – the wreck of interest with the required piece of ironmongery always seemed to be the most precariously balanced in the whole yard, making scavenging for parts not a pursuit for the faint hearted. Still, at least it was recycling of a sort. New legislation has since forced scrap dealers to run safer and cleaner yards, and no doubt the modern kit-car builder can source the pieces they need from eBay or Car Parts Online, facing only the risk of chipping a nail if they type too quickly. 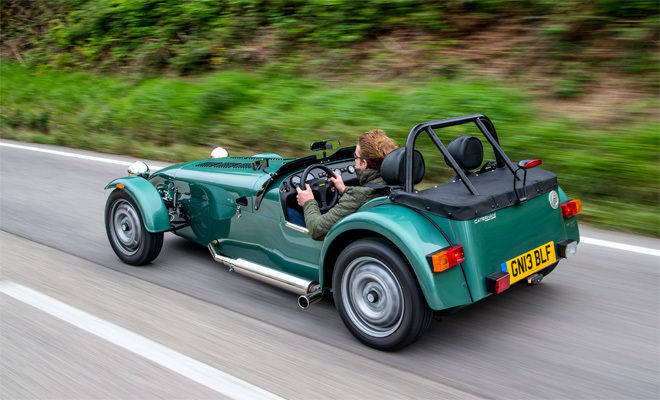 And the Caterham kit is a cut above even that easy life, with absolutely all the pieces needed to complete the build included from £14,995 before options. Some of those options might reasonably be considered essential, by the way, given that they encompass both the windscreen and the roof. Fortunately, those who enjoy twirling a wheel more than spinning a spanner can buy the Seven 160 fully assembled from £17,995. 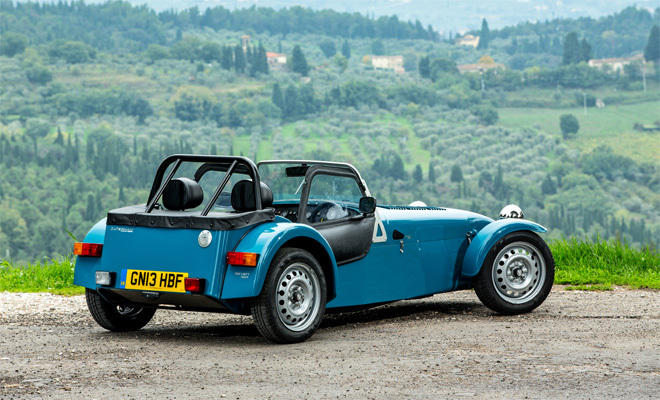 Caterham says the Seven 160 focuses on “unique charm and handling ahead of pure power”, which sounds like a good thing, given that the basic Seven is an extremely charming little car with extraordinarily direct and controllable handling. You don’t need to travel quickly to have a whale of time in a Caterham. I’ve driven one on a couple of occasions and both experiences made me laugh out loud, despite travelling at speeds that would barely trouble a shopping trolley. For the record, the Seven 160 can sprint to 60mph in a brisk 6.5 seconds and a breezy 100mph is flat out. There are five manual gears to choose from, steel wheels are standard, and the whole thing weighs just 490kg.